American Standard was an independent manufacturer of automobile parts, bathroom fixtures and HVAC equipment. The company changed its name to reflect its major brand, Trane, in 2007. Trane was acquired by Ingersoll Rand (IR) in 2008. IR now sells nearly identical American Standard and Trane brands. This American Standard heat pump buying guide includes research on each model – its efficiency, price, features and pros and cons. We’ve created heat pump guides for all major brands that make it easy to compare heat pumps you’re considering. American Standard has been an innovative brand through the years and has a track record for reliability that is better than average. Here are notable features. AccuComfort is American Standard’s variable-capacity compressor technology. While most compressors have one (100%) or two stages (70% & 100%) of operation, the Platinum 20 and Platinum 18 heat pumps have 750 stages from 25% to 100% of capacity. That means the compressor modulates up and down in .1% increments. The purpose is to run at the exact capacity needed, based on outdoor and indoor conditions, to provide optimized heating and air conditioning with precise temperature balance. American Standard uses a proprietary compressor it calls Duration. It gets high marks from HVAC technicians for durability and performance. The Silver 16 Low Profile heat pump is a compact unit designed for applications where space is limited under decks or where buildings are very close together. Nexia is an automation system that integrates smart home devices in one mobile app. The American Standard AccuLink thermostat control and Platinum heat pumps can be controlled with the Nexia app that also supports home security, lighting, electrical outlets, sensors, garage doors and much more. Nexia integrates with Alexa devices for enhanced convenience. The AccuLink thermostat is an attractive touchscreen unit with WiFi connectivity. While the Duration compressor is considered very good, it is a proprietary piece of equipment. If it fails, the repair might take longer while waiting for a part than if American Standard used a universal compressor like the Copeland Scroll compressor used by Heil, Rheem, Goodman and several other brands. The Copeland compressor is available locally from parts suppliers across the country. AccuLink is American Standard’s proprietary communicating technology. Most top brands have one. The purpose of communicating technology is to sync all system components to maximize energy efficiency and climate comfort. While a great idea, communicating technology often leads to mechanical issues. We recommend reading our guide Communicating vs. Non-Communicating HVAC Systems before deciding to pay the $1,000+ extra for a communicating heat pump and thermostat control. We frequently received the emails asking how to choose between very similar Trane and American models. The answer is that you can choose either one. Trane and AS are 99% identical for most models. The only difference is that Trane offers some exclusive highest-end models (like XV20i) with the very high SEER and cutting-edge features. If you are the regular reader of our website, you already know that we never recommend highest-end models for any brand. So for the most models, there is no big difference between the two brands. 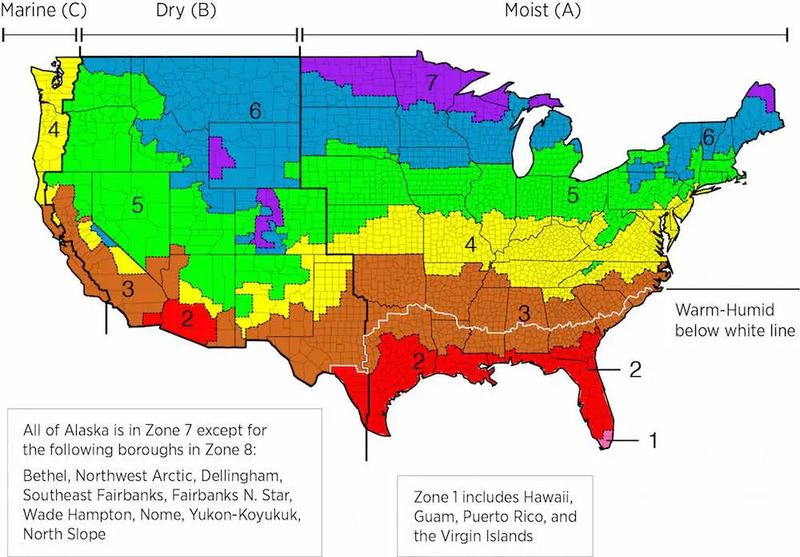 Note: In Zones 6 and 7, the coldest zones, a system with an efficient gas furnace and small central air conditioner is also a good option; American Standard is one of the premium brands with higher initial cost. If you have the plan of moving house in less than 5 years, we recommend installing some quality but low-end level brands like Payne, Ruud or Armstrong. Looking for more budget brands? You can check our heat pump brands guide. This series of heat pumps are among the cheapest models manufactured by American Standard. The heat pumps are available in tons of between 1.5 and 5 ton capacity. The prices differ depending on the number of ton. These series of heat pumps have a SEER rating of 14 and an HSPF of 9.2. The heat pumps are energy star rated and offer high efficiency and maximum comfort to the homeowner. This energy star rated model offers two-stage heating for maximum comfort at home. Like all other heat pumps models from American Standard, this series of heat pumps operate without noise and are a good choice to many homeowners. The units are available at affordable prices. The model is among the most durable heat pumps in the HVAC market. Equipped with a seer rating of 19 and a HSPF of 9.2, the heat pumps offer high efficiency and save a considerable amount in electric bills. The warranty on these series of heat pump is twelve years on compressor and ten years on other parts. According to 2014 ConsumerReports.com Report, American Standard dominate both AC and heat pump Fewer Repairs Rankings. American Standard and Trane are 99% identical for shared models while you can enjoy a lower price compared with famous Trane. Although the units are a little pricey, the heat pumps offer high level of efficiency. The units are available in different marketing platforms and all a homeowner has to do is to order. Most complaints from homeowners about American Standard heat pumps are as a result of poor installation. Bad installation cause the un-balance of refrigerants which lead the constant breaks in 2-5 years. Consumers should allow a qualified HVAC technician to do the installation process I order to avoid future complications. Each model includes: 3-ton outdoor condenser, 1300-1400 CFM air handler, programmable heat pump thermostat. Before installing your heat pump, a HVAC contractor needs to size your system by “Manual J” calculation. This will take into accounts factors like where you live, how much insulation you have, windows types and directions, and everything else. Then you will get a right sized heat pump unit ranging from 1.5-ton to 5-ton. Each Unit includes: American Standard 16 SEER 3-ton outdoor condenser, Trane 1300-1400 cfm air handler, programmable thermostat. I’m a Alabama Certified contractor and I only wish I got the pricing listed in the chart you have posted. My cost from the local Distributor is $6000.00 + tax for a 17 Seer split Heat Pump with a 15 kw strip heater. then I have to mark it up 10% to cover my taxes. Then add install labor and helper pay, along with other install material. That gets expensive for me as a small business. so after taxes, fuel, material, business license, duct testing, and all the additional cost. I Don’t make much. Not all contractors get fair pricing from the distributors its a buddy system like everything else. If the salesman don’t like you or know you. then you get the pricing that will make you go out of business.How to Get the Best American Standard Heat Pump Prices? Thirdly, ask for at least 3 bids before you make the decision. You can click here to get 3 free estimates for your local contractor, and this estimate already take rebates and tax credit into consideration and filter unqualified contractors automatically. A few years ago I bought an American Standard Heritage 15 for my homes upstairs. It has been very quiet and efficient and absolutely trouble free, even in the Georgia heat and humidity. This week my downstairs unit (contractor grade York),went out and I decided to go with the American Standard again as a replacement. Four years is not a lifetime but I will take four years of quiet trouble free AC over that constantly breaking down and extremely noisy York on any given day.